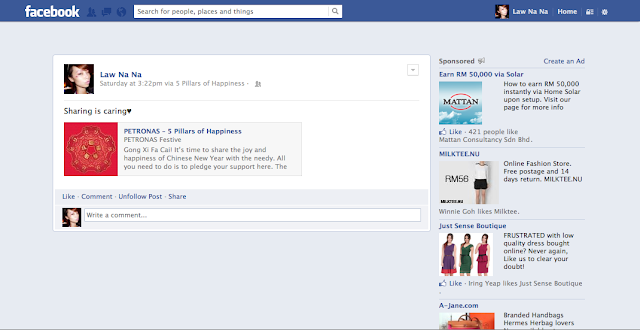 Show your good deeds by participating in Petronas's Five Pillars of Happiness! 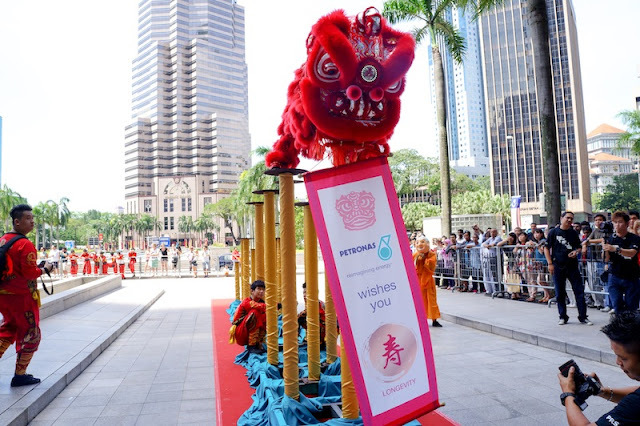 Chinese New Year has yet to come, but i'm already feeling the CNY spirit of unity and togetherness when I attended PETRONAS's Five Pillars of Happiness CNY Campaign last Saturday. The campaign is trying to deliver a message of doing good deeds by helping the less fortunate members of society while welcoming this festival season. 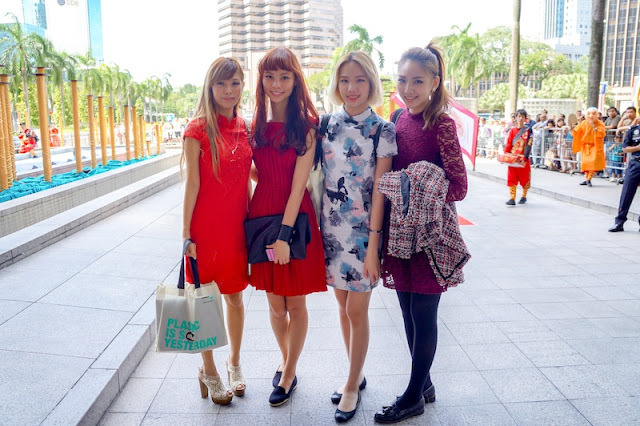 Thanks to PETRONAS and Nuffnang, we girls were able to show some support for this meaningful charity event. It is often said that when one wishes another good tidings, good will fall upon the person. I believe you guys should start practicing good deeds now just like me. I'm seeing my good will coming, lol. Anyway, it's very simple. All you need is to participate by pledging support for the campaign via PETRONAS's official Facebook page at www.facebook.com/petronas1/app_311039082348510 between 2nd to 24th of February 2013. Your simple click can change improve the lives of less fortune. 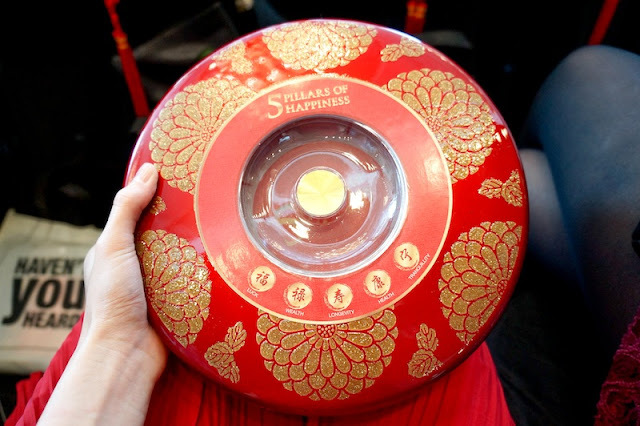 PETRONAS also unveiled a short film "Tau Fu Fah" which is about a couple manages to build a life together overcoming many challenges, and remains their perseverance and positivity even in the most dire circumstances. The film is now available for viewing on Youtube channel, youtube.com/user/PETRONASOfficial, as well its cut down version is going on-air on TV. 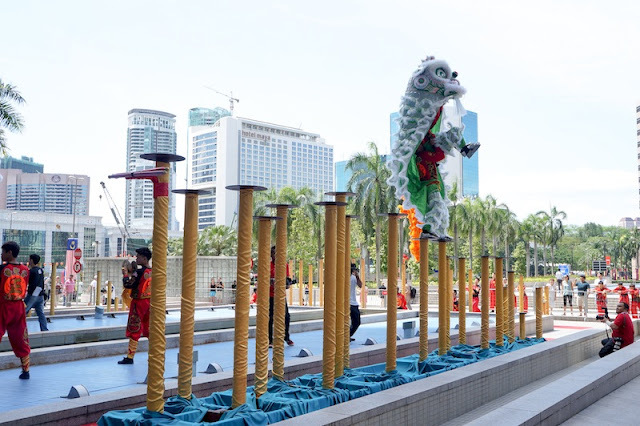 Then guests and media were coordinated to watch the grand lion dance performance on pillars. 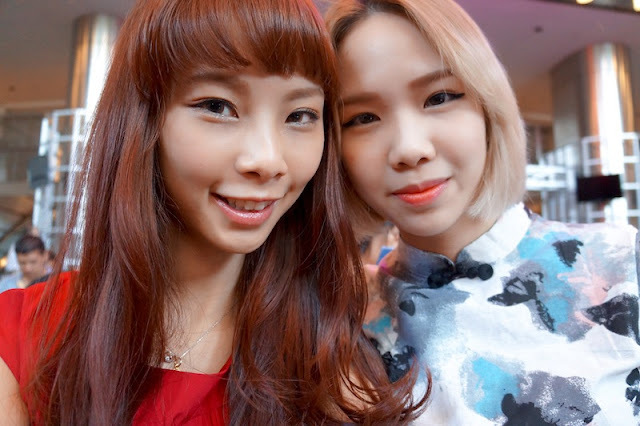 Not forget to selca before we left, definitely girlsbeinggirls. Remember to pledge before you done reading this post.